ONI Bureau: He could have shown defiance. He could have embarrassed the party like Shatrughan Sinha (BJP), who is clinging to his Lok Sabha seat, but spewing venom against the party and PM Modi day in and day out. Following the ‘Shatru Model’, Jay Panda could have forced to party to expel him so that he could retain his Lok Sabha seat, but he did not. He always rejects the common approach adopted by the typical politicians and believes in setting the trend. He proved it yet again when he resigned during his father’s bereavement period, as he was hurt and devastated with the response he got from the party of which he was a founder member. He felt ashamed to stay after his late father Dr. Bansidhar Panda, the Doyen of Odisha Industry was snubbed and disregarded by the same people with whom he shared good rapport for decades. While resigning from the party, he made it clear that he would quit as a Lok Sabha MP soon after his father’s rituals are over. And, he did it exactly. He first sought the appointment of Lok Sabha Speaker Sumitra Mahajan to meet her in person and resign. But, as the Speaker is not available and is out of the country till June 18, he decided to send the resignation letter to her office without waiting further. There was no hurry. He could have waited till June 19. But, he probably believed in ethics and commitment. He did not want his critics and opponents to question his conscience. Baijayant ‘Jay’ Panda who always took moral high ground, did not wish to lag behind on the most important decision of his life. Many critics pointed out that he is still not sure which way to go and he failed to get a deal from either BJP or Congress. But, what they don’t highlight despite the uncertainty, he did not want to continue further as a Lok Sabha MP, as he considered it as unethical and immoral. After his exemplary move, good wishes and commendation poured in from all quarters. His fans, followers and even neutral people appreciated his decision and hailed him. 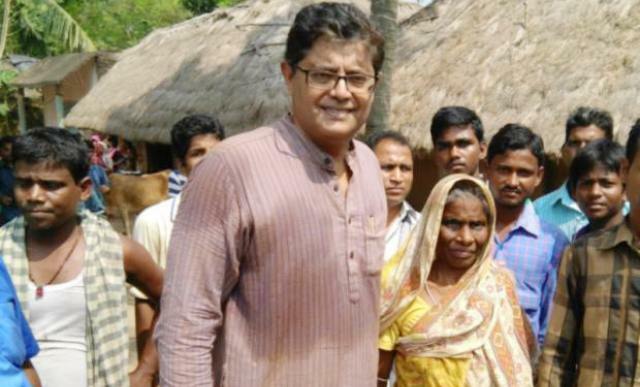 It would be interesting to see whether Baijayant Panda joins BJP/Congress or remains neutral to float a new political outfit to give a viable alternative to Odisha. But, yes, people of Odisha are waiting with bated breath to know about his next course of action. As a person, I am very saddened by a sane voice resigning from the LS seat. We need more people like you as our elected representatives, people with integrity & values, who can propel our great nation that is built on a long civilisational heritage to its rightful place. God .. Personally it’s a bad day for me and the people of Kendrapara at large. We were fortunate to have a highly qualified, intelligent, a leader with par excellence and most importantly a MP of common man. Appreciate your courage and wishing you all the best for your future endeavor. Indeed the decision is heartbreaking and difficult but I know you are gonna be coming back stronger, for the people. We need educated people like you to lead this great State and the country. Baijayant… you have done what you stated that you would do. Its become a fashion in politics today to forget principles and high ideals but you did not. You have always set an example as a politician. #BestParliamentarian We deserve more politicians like you. Sir Salute your commitment to principles. People of odisha look forward to your next generation politics, forged in service and integrity. You are one of the rare politician – gentle and erudite – through your fair and bipartisan views have been acceptable to people cutting across ideological inclinations. I wonder whether you will be able to stick to one party except probably of your own! Best wishes to you sir. Welcoming decision.A brave ,intelligent & A good human being can survive.U r 1 & only in my state.U hv a good National leader quality bt odisha want to u as a cm. A fortunate leader can do .I Never support any party bt If u want to join any party I will blindly support 2 u.